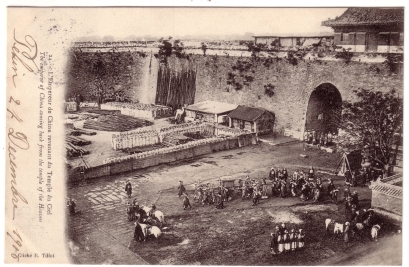 Action: View of the inside of Qianmen, the gate south to the Forbidden City, showing a closed sedan chair with numerous carriers, officials on horseback or standing at intervals, and eunuchs. Mandarins and other people are kneeling in the gateway. Building material is piled behind the fence.